Dear Reader: Did you know that we never charge charities to be rated on our site? 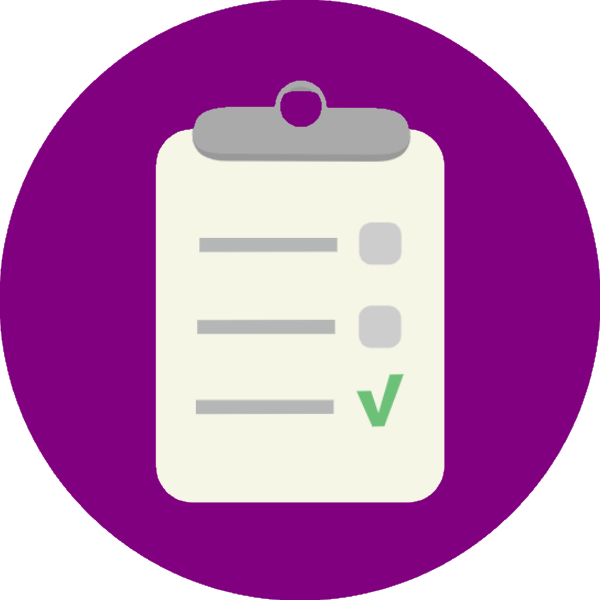 This allows us to maintain independence and conduct unbiased evaluations. If everyone reading this now donated $5, our website would be sustained for years to come. If Charity Navigator is useful to you, take a minute to keep it online and free for another year. This rating was published 12/01/2018 and includes data from FY2017, the most recent 990 received at that time. Teaching Matters is a nonprofit organization dedicated to increasing teacher effectiveness, one of the most critical factors in student success. Our services transform how educators work together at urban public schools, helping the most effective teachers develop the skills they need to lead their peers and drive school-wide improvement. We also partner with school leadership to create a work environment that equips teachers to succeed in the classroom. From nearly 20 years of working in New York City's public schools, we've developed an understanding of realistic and lasting ways to improve student outcomes, and we're committed to real, measurable results. GuideStar is Charity Navigator's trusted partner in sharing information on how this organization seeks impact. GuideStar has recognized this organization with a Gold Seal of Transparency for voluntarily and publicly describing their goals, strategies, and accomplishments. 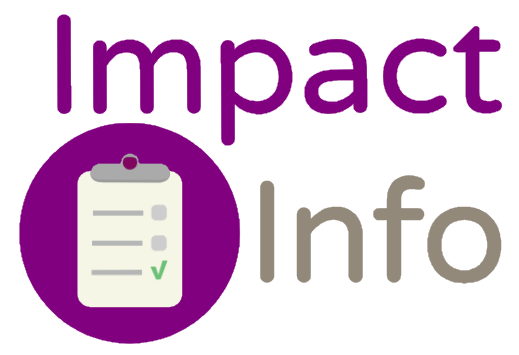 Learn More about Impact Information. What is your organization aiming to accomplish? Teaching Matters has been an early leader in the nationwide effort to recognize, identify and support teacher leadership as a critical capacity building lever for increased teacher effectiveness, improved student achievement, elevated teacher voice and advanced data-driven practice, as well as effective distributed leadership models in school systems. There is broad consensus on the importance of empowering teachers to lead their peers in improving student learning and catalyzing school change (Berg, et. al. , 2014). Teacher leaders can assume a wide range of roles to support success. Where these roles are supported and most effective, they build the entire school's capacity to improve. This takes on added significance due to New York City's ongoing challenge with meeting stringent achievement requirements in alignment with the Common Core. Our organization aims to offer professional learning and resources that (1) develop teacher leaders and (2) increase their capacity to lead the charge in increasing teacher effectiveness school-wide. Integral to this process is having qualified teachers collaborate with their peers, in teams and under the guidance of our coaches, to investigate and solve instructional problems – deepening their skills as educators. Principals, themselves, have daunting jobs. As a result, they are limited in taking on the professional learning needs of their entire instructional staff without outside support. Ultimately, schools not only develop but sustain the ability to facilitate professional learning, strengthen teacher quality and improve student outcomes via the teacher leaders that our organization helps to develop. A series of strategic investments in teacher leadership in recent years has positioned our organization to take center stage in nationwide efforts to advance teacher quality and performance. Beyond our work with schools, districts and systems to develop and implement scalable models for teacher leader support, we have taken a commanding role in advocating for the empowerment of teacher leaders to drive school improvement and communicating its importance to increasingly larger audiences. What are your strategies for making this happen? Most recently, we have engaged in such major teacher leadership and effectiveness initiatives as: • Emerging Teacher Leaders Program: A collaborative initiative between Teaching Matters and the NYCDOE that has put forth a high-yield, competency-based approach for supporting a pipeline of teacher leaders in the most under-resourced schools – the first of its kind in New York City. • The New York Teacher Leadership Summit: Co-organized by Teaching Matters, the NYCDOE Office of Teacher Recruitment and Quality (TRQ), United Federation of Teachers and Teach to Lead – bringing together dozens of teacher led groups throughout the area focused on collaboratively planning and implementing solutions to real, practical challenges in their schools, districts and communities. • Teacher Practice Networks: With support from WestEd in collaboration with the Bill & Melinda Gates Foundation, Teaching Matters is partnering with the NYCDOE to launch a Teacher Practice Network to facilitate high- and low-touch professional learning support that deepens Common Core responsive instruction for a total of nearly 16,000 City teachers and teacher leaders. Strong support in content and pedagogy that is responsive to the Common Core is at the center of our work. Our organization's coaches regularly support the following field-based activities: • Micro-credentialing: Our Micro-Credentials for Teacher Leadership program is a first-of-a-kind vehicle in the education sector to differentiate teacher leaders' skillsets and demonstrate their professional growth, recognition and advancement via digital badges and observations linked to explicit criteria. • Institutes: The teachers and teacher leaders that we reach regularly take part in sessions that provide grounding in effective professional learning community (PLC) practices as well as the tools and protocols needed to lead high functioning teams in building collaborative culture, analyzing data and student work, analyzing teacher practice and establishing high quality common formative assessments (tied to essential Common Core standards). • Onsite Coaching: Teachers who take part in our program often receive job-embedded support from a Teaching Matters achievement coach who is a content specialist. Coaching also focuses on supporting teacher leaders in leading effective PLCs and earning micro-credentials related to this work. • Personalized Feedback: One vehicle is via access to a series of online modules housed in the Teaching Matters learning management system (LMS). These modules include (1) extensive resources around teacher leader competencies and the work of leading high-functioning PLCs toward improved Common Core guided instruction, and (2) a digital platform for receiving one-on-one evidenced-based responses to their Teaching Matters coach. Further, we provide verbal feedback as part of the coaching process. What are your organization's capabilities for doing this? Teaching Matters brings deep knowledge, experience and a commitment to effective support for schools and school districts that is grounded in both research-based professional learning practices as well as two-plus decades of experience working in urban public schools. In New York City, where our organization is headquartered, we are among the top 10 professional development service providers. As the nation's largest and most complex school district, the City has long served as a “projects incubator" in which we test-implement, validate and spread our ideas. Over the last two-plus decades, we have: • Worked with over 900 schools to advance academic achievement; • Coached approximately 30,000 teachers to improve teaching and learning; • Positioned nearly 300 teacher leaders to lead high-functioning learning teams to deepen teaching practice and drive instruction; and • Affected the learning of an estimated 2. 3 million students. Our success is due to the high level of competency within our multidisciplinary staff and leadership. This includes our management team which has collectively advanced K-12 public education practice and outcomes for 100-plus years. Moreover, we have a distributed leadership model that not only includes our managers but senior coaches, who are strong instructional leaders. Further, our team of over 30 coaches provides top tier professional development to thousands of educators with the goal of strengthening teacher effectiveness and leadership to improve student achievement across disciplines. In addition to possessing at least a master's degree in education and at least five to seven years of teaching and/or administrative experience (preferred in local public schools), all are strong instructional leaders. Teaching Matters' 11-member active Board of Directors consists of widely regarded leaders in both the education and business sectors. An Advisory Faculty has also been instrumental to the work we are conducting today. Linda Darling-Hammond, Charles E. Ducommun Professor of Education at Stanford University, was a founding member. The Faculty has included: Beth Lief, President, Petrie Foundation; Kim Marshall, Author of Rethinking Teacher Supervision and Evaluation: How to Work Smart, Build Collaboration, and Close the Achievement Gap; and Dr. Alan M. Lesgold, Professor and Dean, University of Pittsburgh School of Education. Hovering near $6 million, our annual operating budget is driven by needs of our educational programming and provides a realistic framework for spending. Further, we have established processes and controls for the safeguarding of assets and other financial matters. We are pleased to have achieved Charity Navigator's four-star rating for sound fiscal management for the past six years. How will your organization know if you are making progress? Teaching Matters considers progress measurement a key priority; we conduct it in a number of ways – including both internally and in close collaboration with third-party evaluators. Our organizational work has evolved into a formalized and replicable model for educational improvement, noting how partner schools progress over time while participating in offerings. As a result, efforts have maximum efficiency, transparency and scalability. We have a computerized system through which we collect information on key program implementation inputs and outcomes. Qualitative and quantitative data of teacher and student experiences are measured on an ongoing basis including (but not limited to): • Attainment of priorities and specific SMART goals set with school leaders and aligned to the NYCDOE Quality Review rubric. • Evidence-based changes in the practice of individual teachers and teams based on our professional coaching (including those derived from our micro-credentialing system) • Student benchmark and formative assessments, work samples, grades and standardized test data These sources are processed to make specific recommendations to strengthen teacher leadership, instructional capacity and student performance. (Detailed indicators of progress for specific programs or initiatives are available upon request. ) Teaching Matters has solid evidence that our strategic investments in teacher leadership are positively affecting key areas of impact. Two years of recent independent research have confirmed that programs leveraging our teacher team coaching model led to statistically significant increases in both ELA and math outcomes for more than 1,000 students. In addition to improving standardized scores, resulting changes in teacher practice have better positioned schools citywide to respond to the demands of the Common Core. We expand upon the progress we have made in the next section. What have and haven't you accomplished so far? We cite these recent accomplishments: ?Pioneering a nationally recognized, competency-based approach to teacher leader development – We have established the nation's first system for teacher leadership micro-credentials and issued 700 – more than any other education organization. A subset is hosted by Digital Promise on the Bloomboard marketplace, available to educators in all locales. ?Developing our highly successful Emerging Teacher Leaders Program in partnership with the NYCDOE's Office of TRQ – Grounded in competency-based, micro-credentialing coupled with professional learning supports, this year the program was implemented with 200 emerging teacher leaders with union support. It led to a 65% increase in teacher leaders in the City's most struggling schools and has become a permanent pathway into formal teacher leadership roles. ?Advocating for teacher leadership on the national stage – We have mobilized with nearly 70 organizations around Teach to Lead – spearheaded by the U. S. Department of Education and National Board for Professional Teaching Standards. Further, we launched the New York Teacher Leadership Summit (http://nyteacherleadershipsummit. org/), powered by Teach to Lead, from June 17th - 18th. We are also part of the 50-member TeachStrong coalition which offers a nine-point prescription for improving the profession. ?Advancing teacher leadership and Common Core-aligned practices through highly effective networks – In October, we launched a Teacher Practice Network with funding from WestEd in collaboration with the Bill & Melinda Gates Foundation. Over the next two years we will impact nearly 16,000 teachers through high- and light-touch professional learning that improves ELA and math instruction aligned to the CCSS. We seek to build upon accomplishments as follows: ?Norming on micro-credentials – Our coaches must engage in “norming" to maximize reliability of teacher leaders' micro-credentialing results. This process will also increase the efficiency of determinations so that coaches can minimize time collecting and recording data – reinvesting such effort into providing support in areas that require strengthening and into other essential tasks, as needed. Ultimately, our process will be adaptable by other stakeholders. ?Engaging in strategic innovation for existing service delivery and growth – Our greatest need is for financial resources that give us the flexibility to both continue and innovate our existing programs – including engaging in the robust research and development that is required to improve professional learning opportunities for schools and districts. Along these lines, our strategic plan entails taking our Early Reading Matters program to 62 schools over a five-year term which includes a transition from seeding implementation with grant funds to self-sustaining, fee-for-service delivery. We have raised a major philanthropic award from the Brooke Astor Fund for New York City Education. 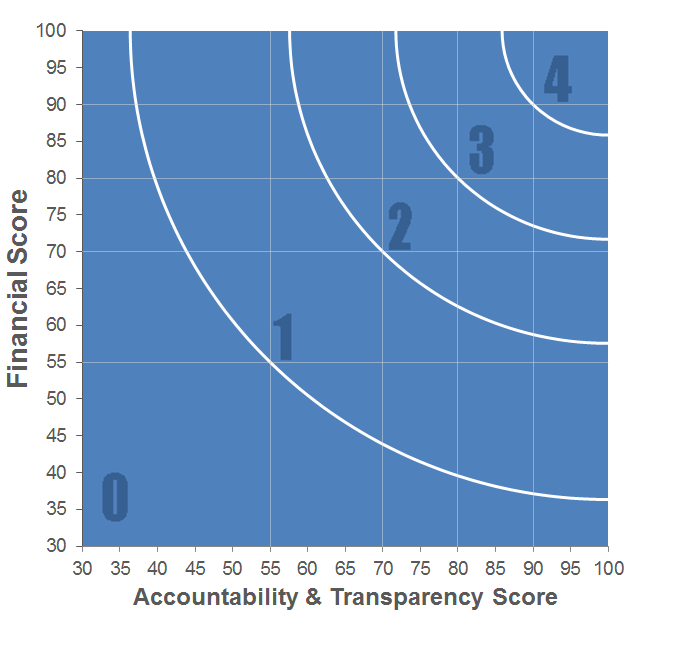 GuideStar's Gold Seal of Transparency is earned by completing five questions around an organization's strategies, progress, and results, known as Charting Impact. Charting Impact encourages strategic thinking about how an organization intends to achieve its goals. The end result is a report that lets nonprofits share concise, detailed information about plans and progress with key stakeholders, including the public. This data is provided directly by nonprofits to GuideStar via their Nonprofit Profile. All data for Financial Performance Metrics calculations was provided by Teaching Matters on recent 990s filed with the IRS.